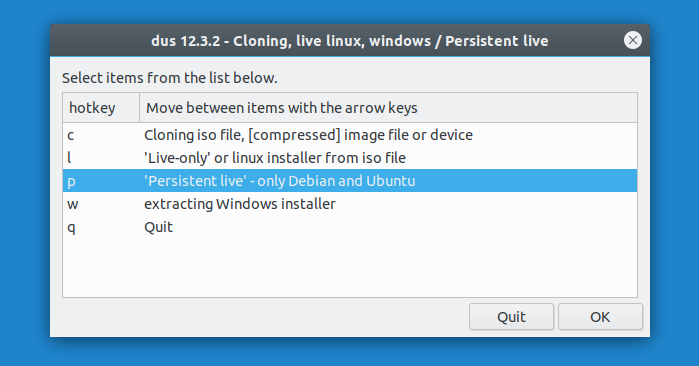 This article explains creating a persistent live USB with Ubuntu (and flavors like Kubuntu, Xubuntu, Ubuntu MATE, etc. ), Linux Mint, Debian or elementary OS (it should work with any Debian or Ubuntu based Linux distribution) using mkusb. prep, Ranchero Chido and Steve like this.